Two months ago I was searching Ebay for “motherhood” and “breastfeeding” related items, and I came across these beautiful wood ornaments made by the Ebay seller bluemoonlaser, an exquisite and creative person really. 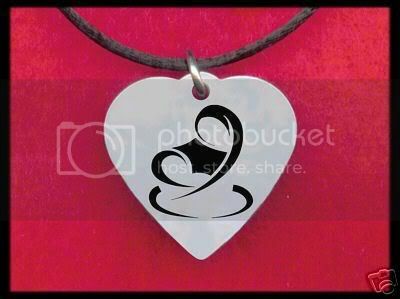 I totally fell in love with these pendants, such a warm and kind reminder of the symbol of the relationship that bonds a mother and a child through breastfeeding. 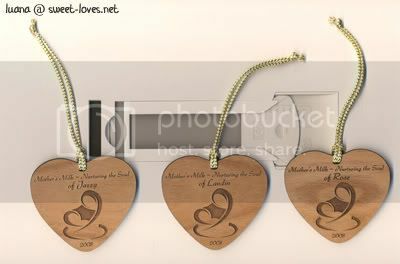 “Mother’s Milk – Nurturing the Soul of – (name)” is what is written on each of these pendants, where I requested the names of three of my children to be placed on: Jazzy, Landin and Rose. My son has been discharged from the hospital and is now feeling better, even though he still has problems with his stomach and is taking medicines for it. He’s been under heavy stress, so I’ve been there for him, we watched funny movies on YouTube together, talking about relaxing stuff… and I cuddled him a little in chat. I asked him to help me with my translating job too (revising and correcting). I’m always so happy to see my baby happy :3 I hope anything bad is gonna happen again. I pray God for it. My chest is in pain, my heart is aching… because I’m deeply worried about my son, and I can’t be there for him. He lives in Germany, and I have no money for a flight. Landin… if you ever get to read this… just know that your mommy is there beside you with her heart, and all her love. Get well soon, my baby.